Mac was a very good friend of mine; and like all his friends I was shocked to the core when he passed away suddenly and tragically in October 2009, at the age of only 34. But, I am pleased to say, Mac’s latest – and, inevitably, final – piece of work ensures that his memory, legacy and ability to think outside of the conventional ufological box will live on. 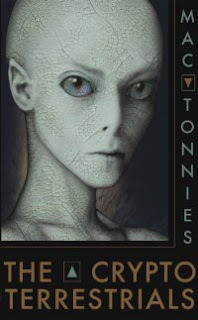 That work is The Cryptoterrestrials: A Meditation on Indigenous Humanoids and the Aliens Among Us. Like Vallee and Keel, Mac rightly recognized that UFO encounters could not be dismissed as the ravings of lunatics, the tales of the fantasy-prone, or the lies of those seeking fame and fortune. But, he was also careful not to get sucked into the near-viral mindset that practically screams (take a deep breath): UFOs = alien spaceships piloted by little gray chaps from across the galaxy, who are on a mission to save their dying race by stealing our DNA, eggs and sperm. Rather, Mac – right up until the time of his death – was chasing down the theory suggesting that the UFOnauts may actually represent the last vestiges of a very ancient race of distinctly terrestrial origins; a race that – tens of thousands of years ago may have ruled our planet, but whose position of power was thrown into overwhelming chaos by two things: (A) the appearance of a “debilitating genetic syndrome” that ravaged their society; and (B) the rising infestation of a violent species that threatened to eclipse – in number – their own society. They are the Cryptoterrestrials. And that violent species that blusters around like an insane, unruly and spoiled child, and that has done more damage in its short life-time than can ever be truly imagined, is, of course, us.